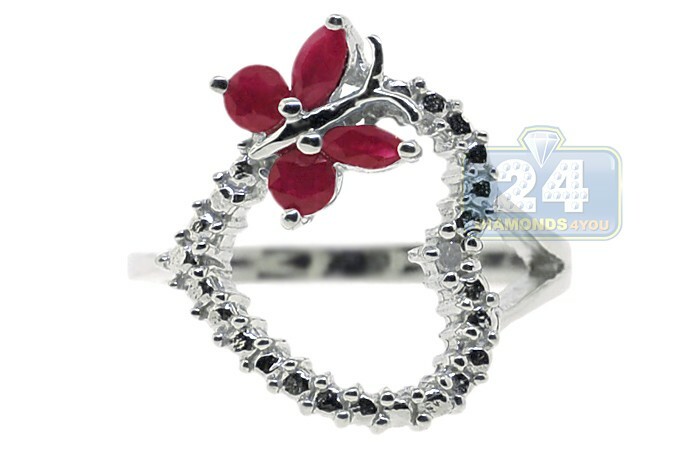 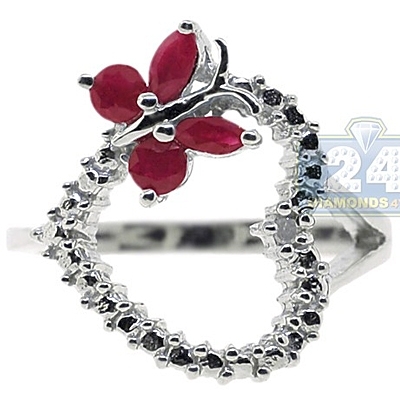 This fabulous lady's ring showcases a lovely open heart design with a gorgeous gemstone butterfly accenting it! 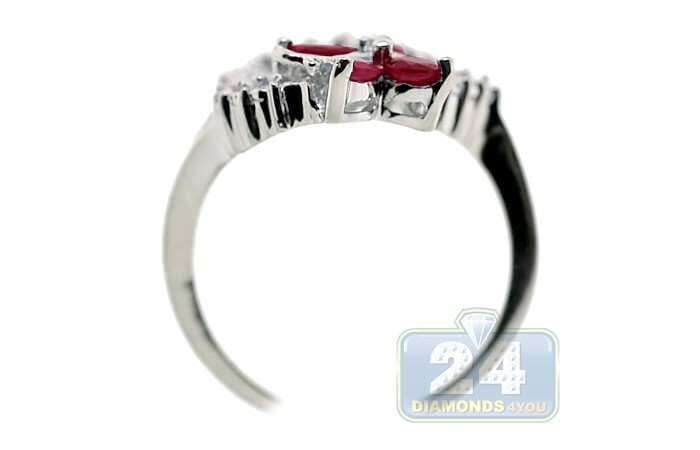 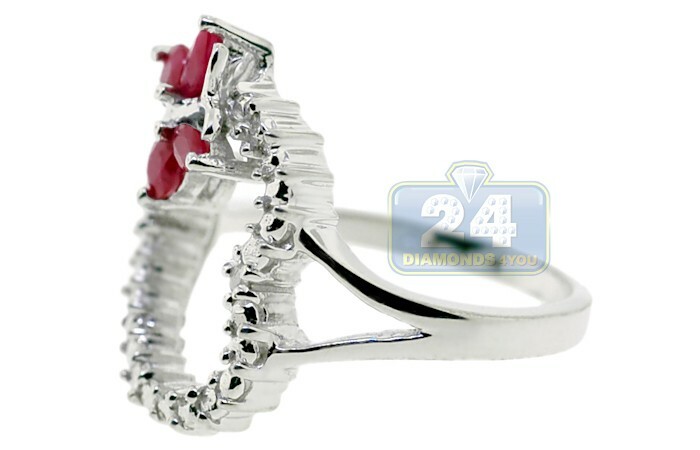 The ring is skillfully crafted in cool 925 sterling silver with highly polished shiny finish. 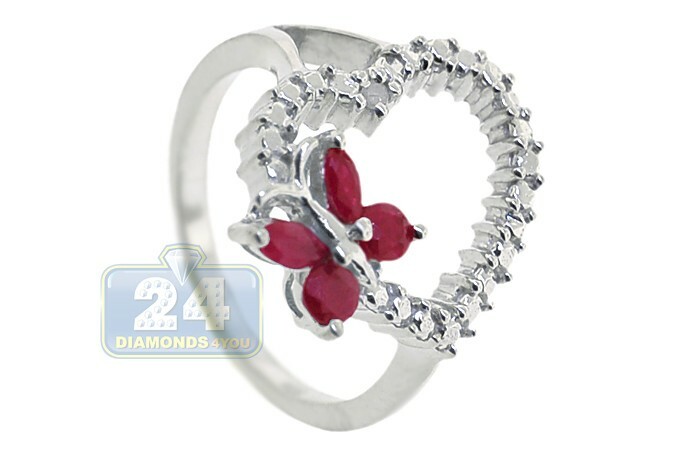 A lovely heart is stylishly accented with genuine round cut diamonds while the cutest animal is made of four pieces of natural red ruby. 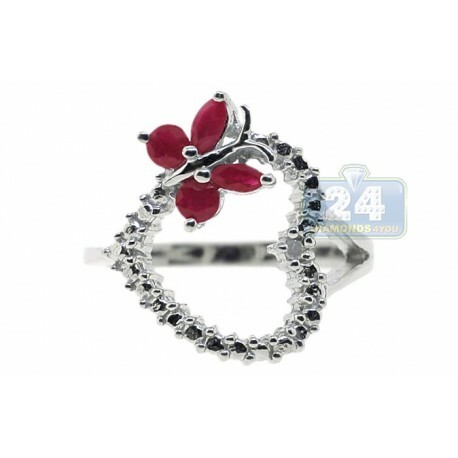 Add some romance to your daily wear with such a fancy jewelry piece!